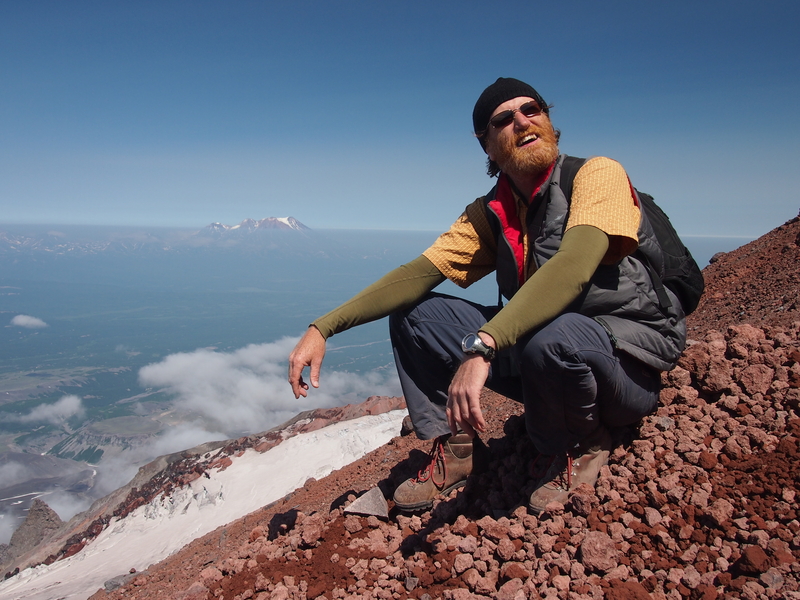 Southern Kamchatka’s Avachinsky Volcano (2741masl), descending from active summit, exhausted! In July 2012 I was in the awesome wilds of the wilderness-defining peninsula of Kamchatka. I saw a mere pin prick of this massive rim-of-fire landscape. And climbed the hardest thing I’ve ever climbed, the Avachinsky volcano (2750masl). And I must go back. While there I met Yale Professor, author and lecturer Fred Strebeigh http://www.strebeigh.com/ and learnt of his interest in the little known Russian wilderness preserves – zapovedniki – pre-dating all other nations’ attempts to do similar.